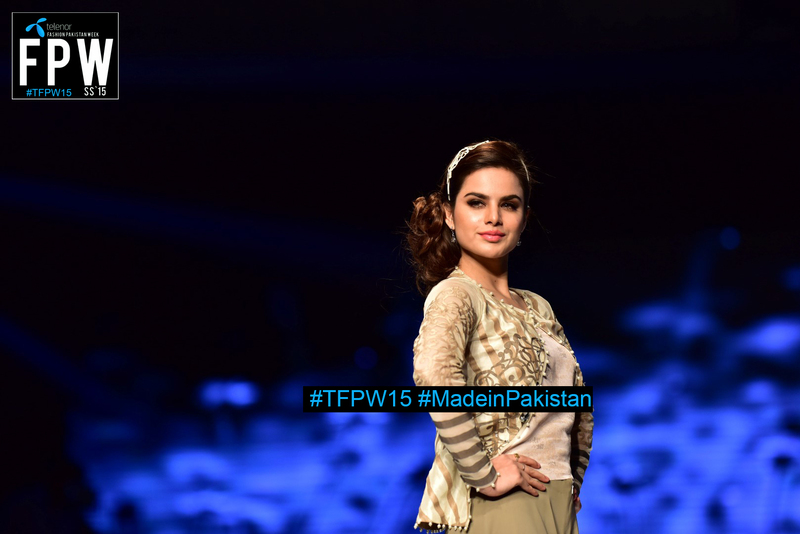 KARACHI: The four-day Fashion Pakistan Week S/S 2015 got off to a dynamic start with Nida Azwer’s French Trellis Collection in which she showed beige, grey outfits in luxe fabrics cotton net, net, silks and chiffons with classic French embellishments. The silhouettes remained western with drop shoulder tops and short capes worn over cigarette pants. 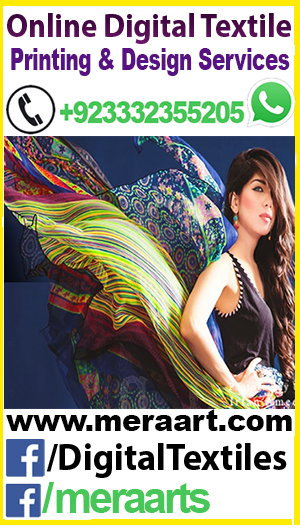 The Bank Alfalah Rising Talent show would give away half-a-million rupees to the winning designer from a prestigious fashion school, it was announced. Indus Valley School students Rimsha Shakir, Sheza Azhar, Hamza Riaz and Momal Zia showed their individual takes on the future of fashion with contrasting surfaces by manipulating materials, pop culture, colour blocking, fluorescents and various other design inspirations to come up with a knockout concept. 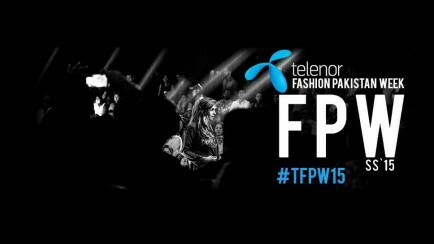 This entry was tagged 31st March 2015, day one Telenor Fashion Pakistan Week 2015, Fashion Pakistan 2015, Fashion Pakistan Week 2015, FNKASIA, Lala Textiles, made in Pakistan, madein pakistan, Nida Azwer, Pearl Continental Hotel Karachi, Sadaf Malaterre, Sania Maskatiya, Telenor Fashion Pakistan Week 2015, Telenor Fashion Pakistan Week 2015 day one pictures, TFPW 2015, TFPW 2015 karachi, TFPW15. Bookmark the permalink.